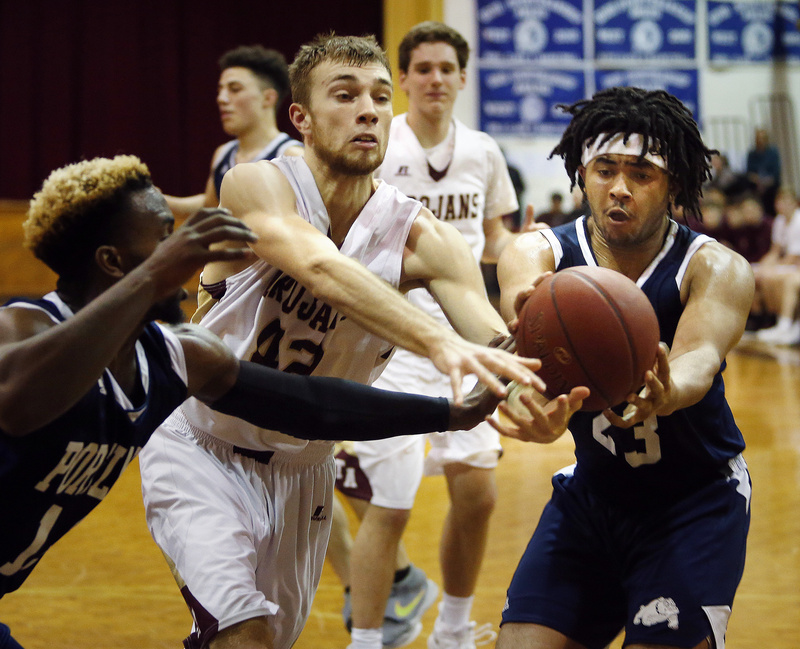 Jeremiah Alado, left, and Pedro Fonseca of Portland try to stop Payton Jones of Thornton Academy as he drives to the basket. 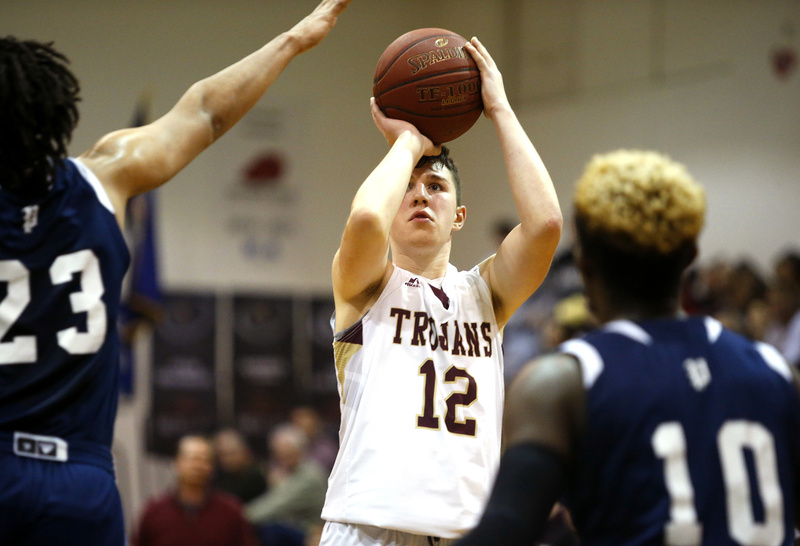 William Chapman of Thornton Academy puts up a shot between Trey Ballew, left, and Simon Chadbourne of Portland. 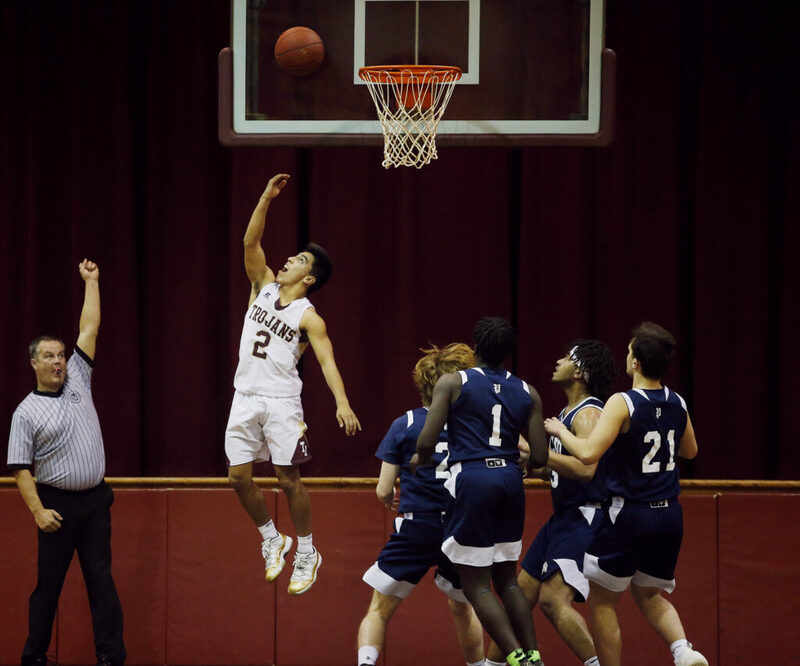 Anthony Bracamonte of Thornton Academy looks to score after being fouled under the basket in the third quarter. 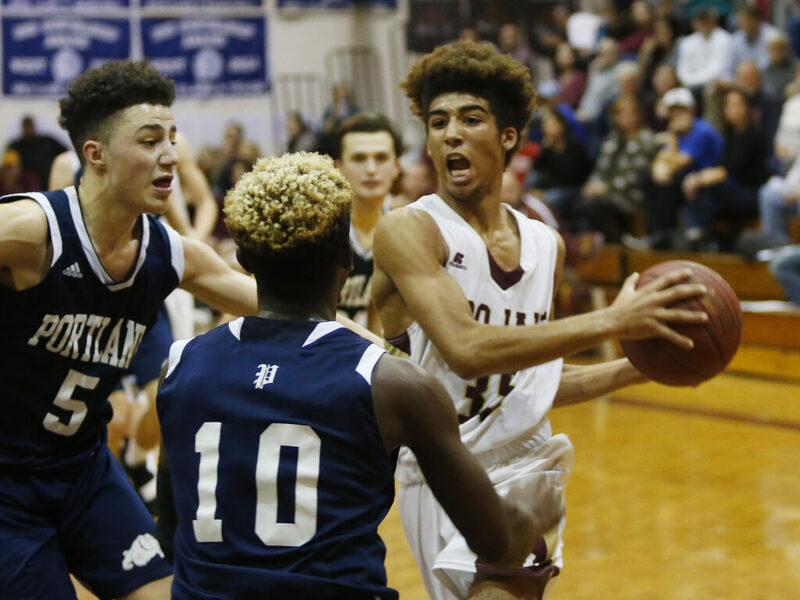 Dylan Griffin of Thornton Academy grabs an offensive rebound over Pedro Fonseca, left, and Easton Bradford of Portland. 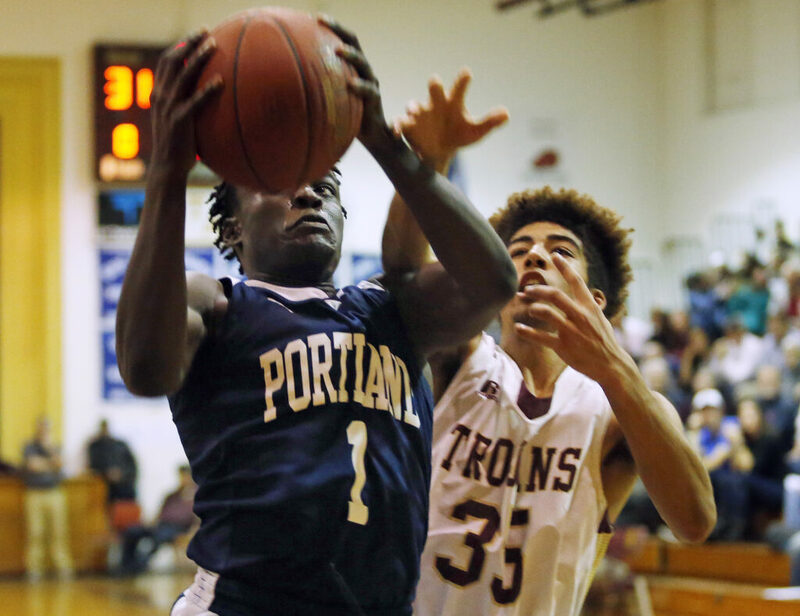 Ronaldo Wakati of Portland grabs an offensive rebound in front of Payton Jones of Thornton Academy in the third quarter. 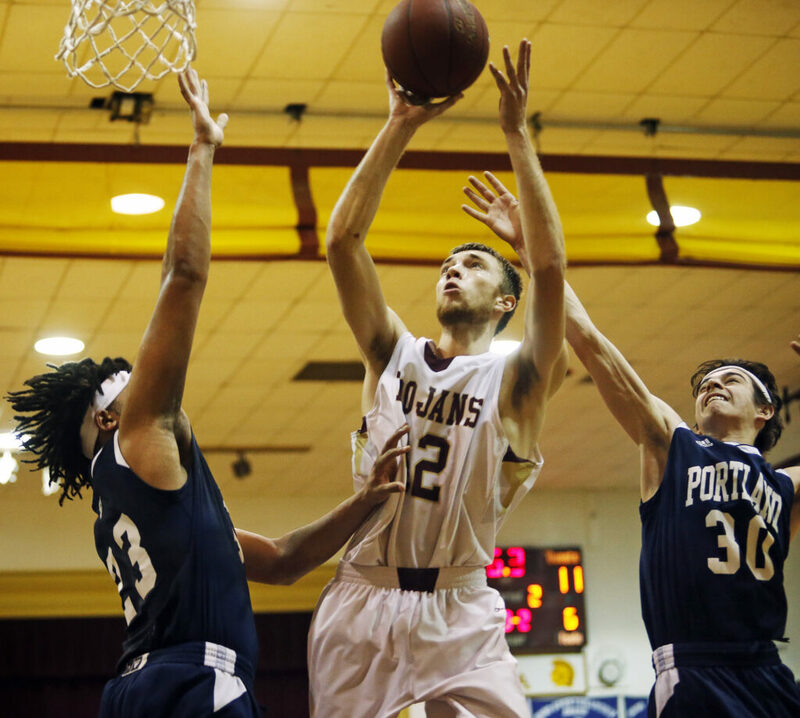 William Chapman of Thorton reaches for a loose ball with Pedro Fonseca, left, and Trey Ballew of Portland. 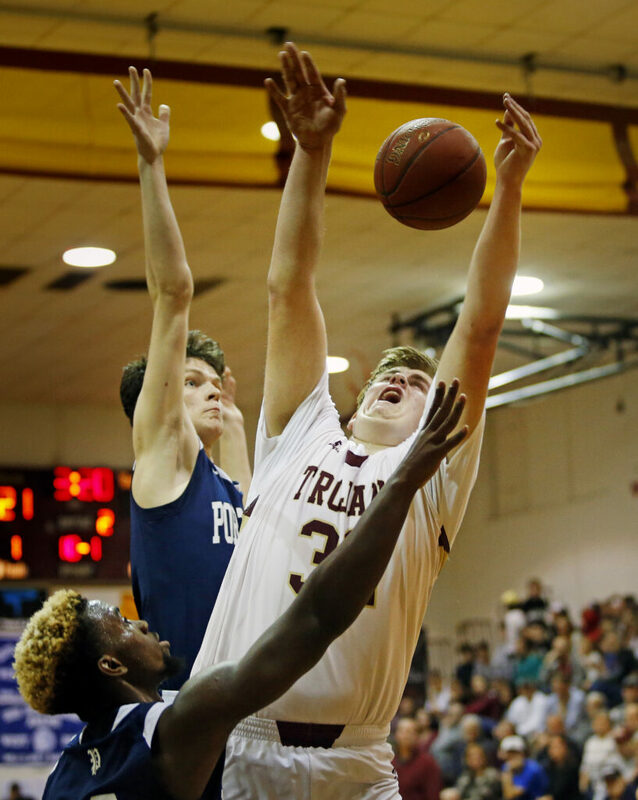 Jack Pyzynski of Thornton Academy shoots over Trey Ballew, left, and Pedro Fonseca of Portland in the first quarter Friday night.